Samsung Galaxy M10 and Galaxy M20 have been in the news for the past couple of months, with 91mobiles bringing several exclusive details, such as the waterdrop notch, dual rear cameras, and more. Now, we can report that the Samsung Galaxy M10 price in India will begin at Rs 8,990, while the Galaxy M20 will start at Rs 12,990. The information comes from a source close to Samsung’s pricing strategy for the upcoming smartphone series. To recall, we had exclusively reported that Galaxy M10 and M20 will be priced aggressively and will cost less than Rs 10,000 and Rs 15,000, respectively. Earlier today, IANS reported the Galaxy M10 and Galaxy M20 prices in India will start at Rs 7,990 and Rs 10,990, respectively. However, from what we have learnt, the news agency’s information might be a little off the mark. The news agency also mentions the new Galaxy M series smartphones will be up for purchase starting March 5th via Amazon.in, Samsung’s exclusive online partner for the new range. That will mean the two phones will hit the market over a month after their unveiling since Samsung is set to showcase the duo on January 28th. The upcoming series will reportedly replace the Galaxy J, Galaxy On, and Galaxy C series in a bid to simplify Samsung’s lineup. Specifications of Galaxy M10 and Galaxy 20 have leaked in their entirety over the past week. The former will sport a 6.2-inch display with HD+ (720 x 1,520) and waterdrop-style Infinity V notch to house the selfie camera. It will boot Android 8.1 Oreo and will be powered by the Exynos 7872 SoC with 3GB RAM. It will come with 32GB base storage, though we can expect a higher storage variant as well. 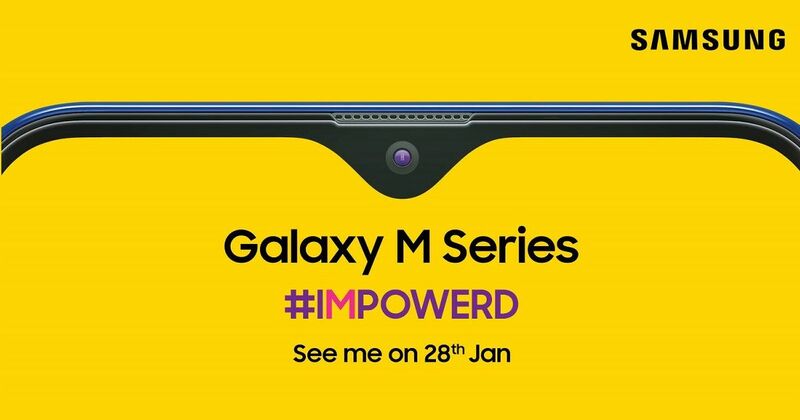 On the camera front, the Galaxy M10 will have 13-megapixel (f/1.9) and 5-megapixel (f/2.2) cameras. The smartphone will be powered by a 3,400mAh battery. 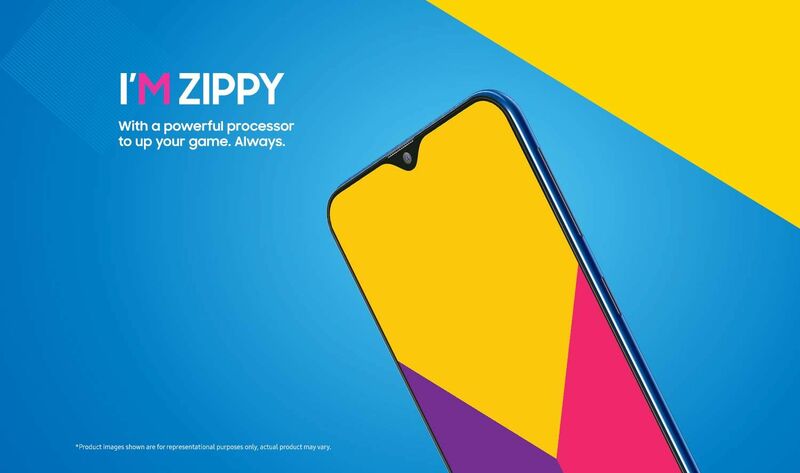 Coming to Samsung Galaxy M20 specifications, it will have a 6.3-inch display with 1,080 x 2,340 pixel resolution and Infinity-V notch. The smartphone will be powered by the Exynos 7885 SoC, backed by 3GB of RAM. Buyers will be able to choose between 32GB and 64GB storage options, with provision for storage expansion via microSD cards. The cameras on the back will have 13-megapixel (f/1.9 aperture) and 5-megapixel (f/2.2 aperture) sensors. Android 8.1 Pie-based custom UI and 5,000mAh battery will be part of the package, while the fingerprint sensor will be left out.